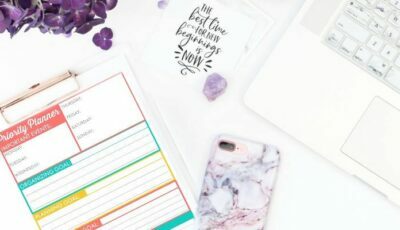 How I simplified My Menu Planing Routine & Found a Solution that Works! Home / Savings Blog Posts / How to Save Money / How I Simplified My Menu Planning Routine! In all the craziness of life, I noticed that I was missing the simple things… The Things I knew helped me, but because they weren’t on the urgent, or has to be done “Right Now” list they just kept getting pushed aside. If I’m being honest, we were feeling the stress of me letting those little things go. You see I am a true believer in systems, I know that if I have the right systems in place in our home things run smoothly. What I quickly realized was that my system was broken. I wasn’t planning ahead for dinner so we were eating out WAY TOO MUCH! I knew I needed a simple option, a system for menu planning so I didn’t have to think about it as often and I wasn’t running through the drive thru at the last minute on the way home from practice! That’s why I developed the Grocery Pick Up Meal Plans! Because I needed an EASY Solution, to a simple problem. I needed something that helped me simplify my Menu Planning Routine! I wanted a plan that gave us great family friendly options (There’s even a Low-Carb Version) and detailed shopping lists so that all I had to do was go online and order my groceries! I’ve been using these Grocery Pick Up Meal Plans for the last few months and it’s LIFE CHANGING! All I have to do is go online, order my groceries from my favorite store and drive in and they load everything in my car! It’s SO EASY! I timed it out one week and it took me around 10 minutes to add all the items to my cart on my laptop (While watching my favorite show on TV) and then it took me around 5 minutes to pick up my groceries!!! No more stressing about what to eat for dinner, running in and out of the grocery store without a plan, or spending hours shopping and over buying! These 6 Week Grocery Pick Up Meal Plans have detailed menu plans, shopping lists and all the recipes, so I’m not searching around for new ideas all the time, and we don’t feel like we’re eating the same 3 recipes every week! It’s an easy no-thought solution that has simplified my menu planning and grocery shopping routine! Plus, as an added bonus when I do have time to hit up Aldi then I just take my shopping list with me and grab all the items I need, it’s still one less step I have to think about and I can save money by taking advantage of Aldi’s great prices! How I plan My Meals Around My Week! I did a quick Facebook Live Video about this the other day, but one of the things I always do is I plan my menu around my week. So even though I know what meals we will eat during the week, I normally plan which meal to eat each night based on our busy schedule. For Example: If I know we have Gymnastics, Baseball, and Basketball all on the same night (Hello, Thursday’s! I am looking at you) I almost always plan a slow cooker meal, or something I can prep ahead of time for those nights! That way we have everything ready when we walk in the door tired and hungry! I use the Custom Menu Plan Template that’s included with the Grocery Pick Up Meal Plan to schedule out all of my meals and add in breakfast and lunch ideas each day! 1.) Download the Grocery Pick Up Meal Plans Here! SAVE BIG – Use the Coupon Code PICKUP50 at Checkout to get 50% off!!! I put mine in a 3 ring binder, you can use Plastic page protectors for each week! Then it’s easy to pull out one week at a time and everything is easy to reach! Just simply type in each ingredient and add what you need to your shopping cart. If I already have an item in my pantry or fridge I just go ahead and check it off so I don’t over spend! 4.) Pick Up Your Groceries or have them Delivered! There are so many services that will delivery your groceries, and Walmart offers Free Grocery Pick Up Nationwide now, you can use any store or take the shopping list to a store like Aldi. This is one of those ways I’m simplifying my routine each week and still saving money by shopping with a list! This is me, picking up my groceries in less than 5 minutes on a Saturday Morning on the way home from working out. I always pick a time slot that fits my schedule so I grabbed my groceries when I was already driving by the store which took me only 5 minutes extra in my day – Seriously LIFE CHANGING right there! Sit Back and Relax! You’ve got 6 weeks of Easy to Follow Meal Plans, and Recipes! When you get finished with week 6 just start back over with week 1, You’ll love how easy and simple this system is! You’ll never have to stress about dinner again! If you want to get a copy of my exact 6-week meal plan you can Click Here to Grab Yours Today! Right now you can save 50% of when you use the coupon code PICKUP50 at Checkout!